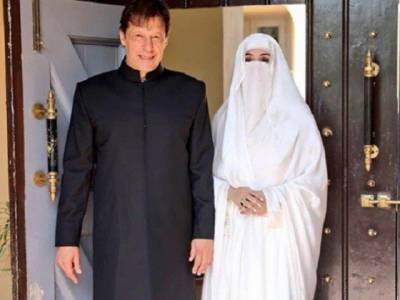 ISLAMABAD - Prime Minister Imran Khan reportedly said on Saturday that he plans to stay with his wife Bushra Bibi till last breath. In an interview link with local media, the premier commented on his marital life, acknowledging his wife to be a blessing from Allah. He rejected all rumours related to his marital life. Earlier, first lady Bushra Bibi during her interview with a private TV channel, a few months back, called Imran Khan “a leader rather than just a politician”. She divulged that Imran Khan is a very simple man devoid of any greed. “Only Imran Khan can bring change in Pakistan but change requires time,” she added. Bushra Bibi in an earlier statement defended her right to wear a hijab, implying it as a private matter and personal choice. ‘Those who don’t want to wear hijab, can do so,” she said.